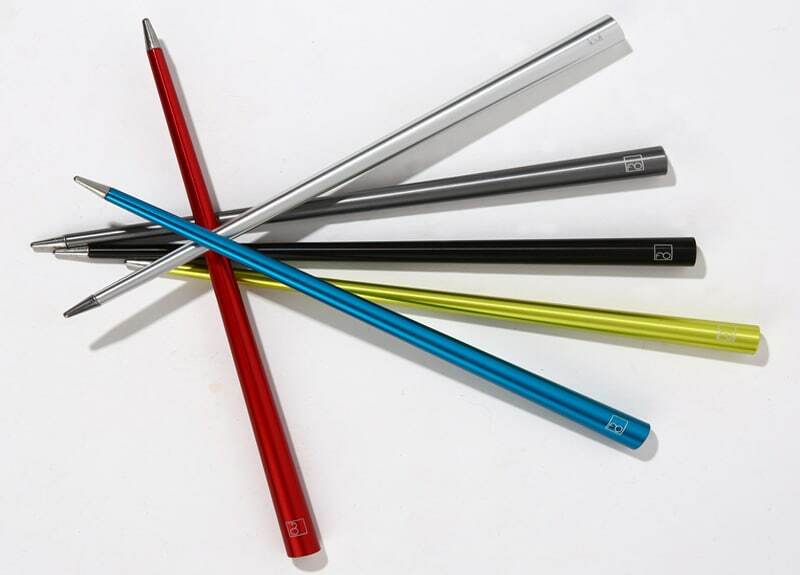 The Riscrivo (Rewrite) collection of pens and pencils is made from recycled materials that are processed in an environmentally-friendly way, from collection to the recycling process to production. 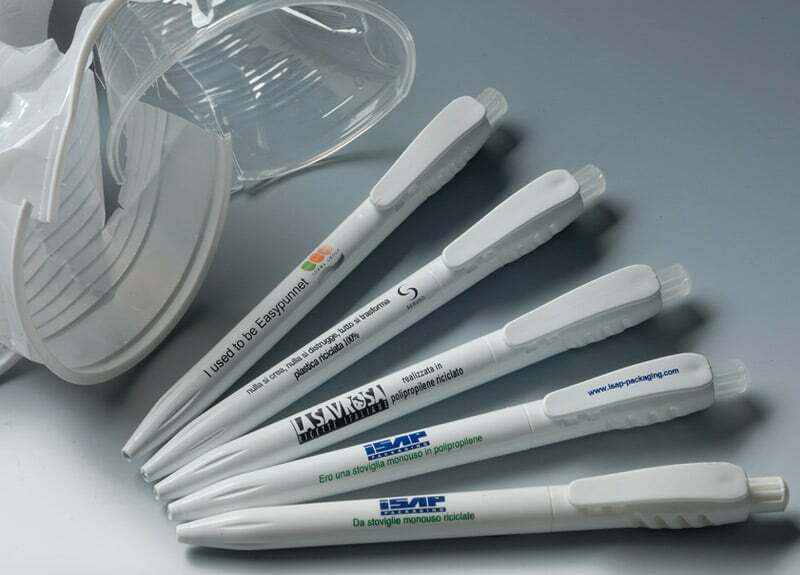 All the products have a label indicating what material they are made from: plastic from recycled disposable cups, CD and DVD cases, car headlights and reflectors. 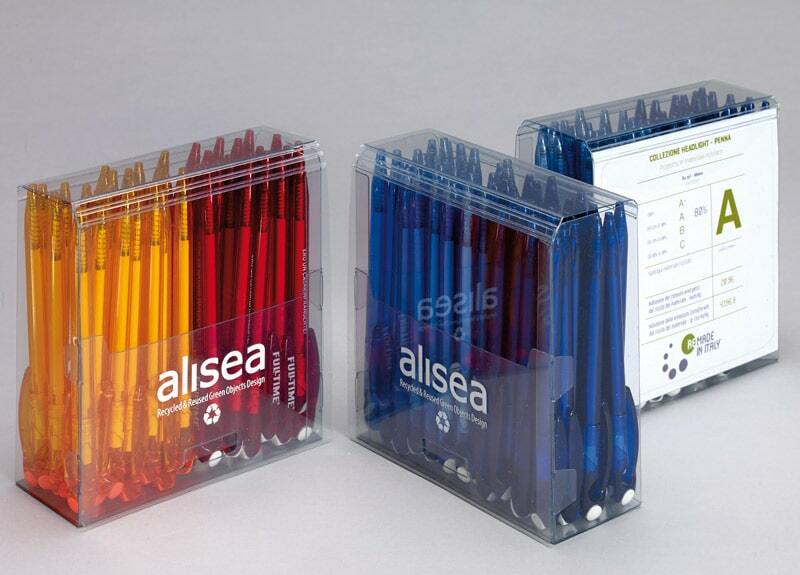 “Alisea’s pens and pencils each have a story to tell. 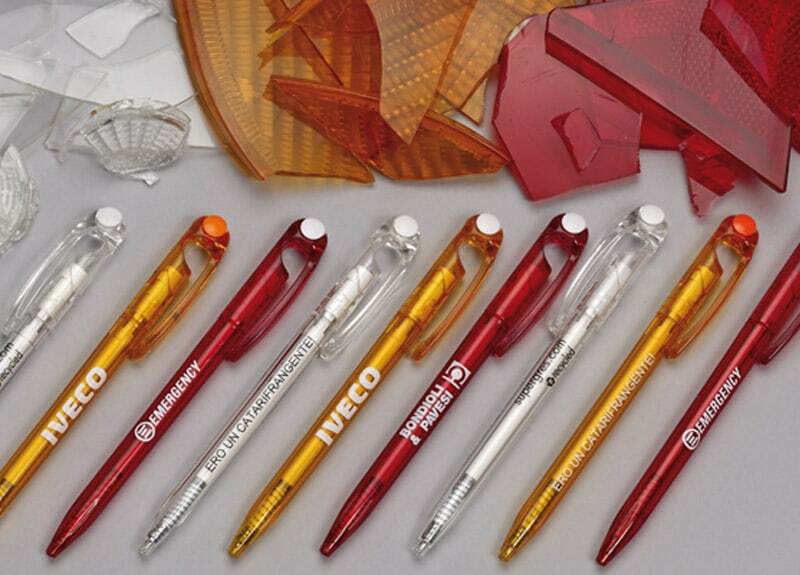 A collection of pens made by recycling car, motorcycle and truck headlights and reflectors. Washed, ground and reduced to small granules, they become the raw material for creating pens and other small items of stationery. Available in red, orange and crystal, they can also be made in the color requested by the customer by using transparent methacrylate. 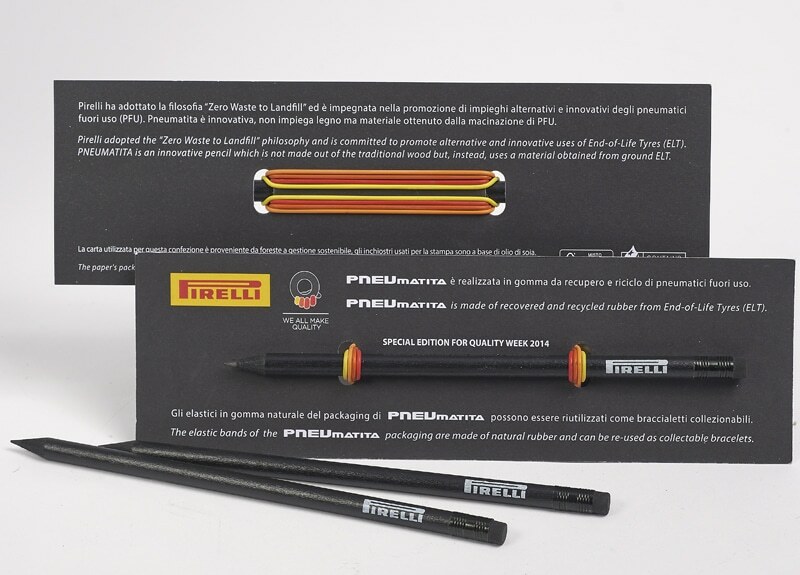 The Headlight pen has a twist mechanism and uses a refill cartridge that has been made in Italy by an industry leader. 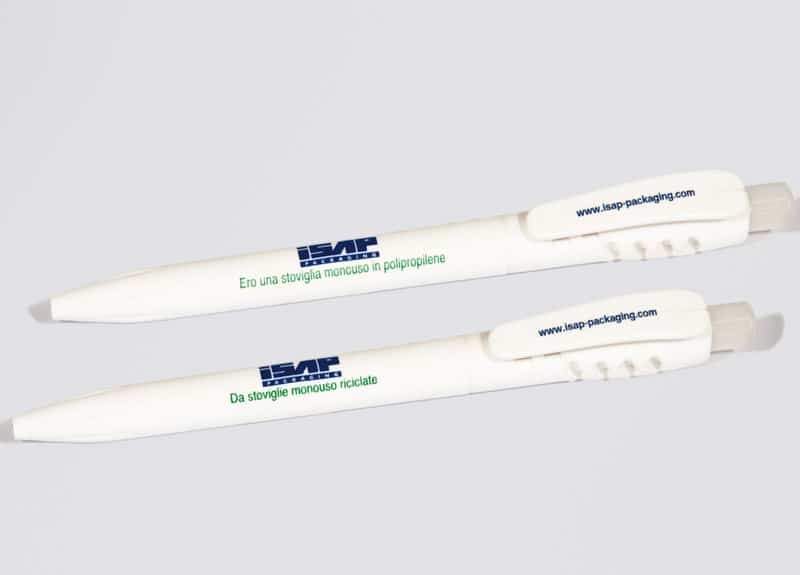 It is available with blue or black anti-smear ink and contains enough ink for at least 2 km of writing. 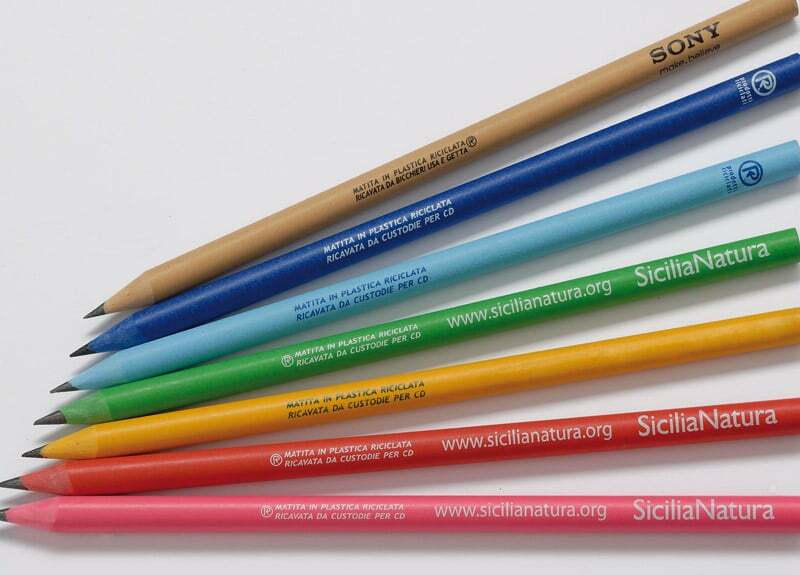 All the pens have “I was a reflector” written on them and are certified ReMade in Italy, the first brand for products and materials that are recycled and reused in Italy; a trademark created to promote Italian sustainable industries. The ReMade in Italy brand includes information about the sustainability characteristics of the material and the product, in terms of savings in raw materials, energy savings and CO2 emission reductions. 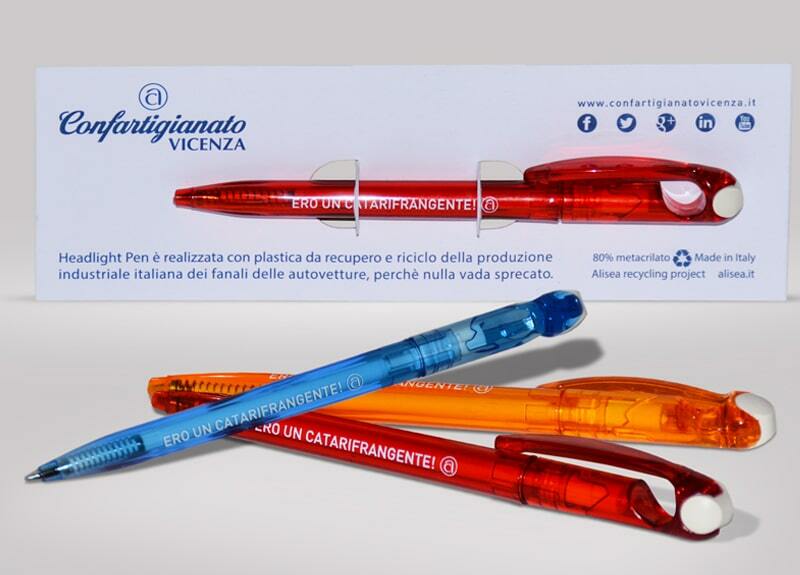 Confartigianato Vicenza. Is the Provincial Association of artisans which has been promoting and communicating the values of small businesses for the past 70 years. A positive strength, collective expression of values and interests. 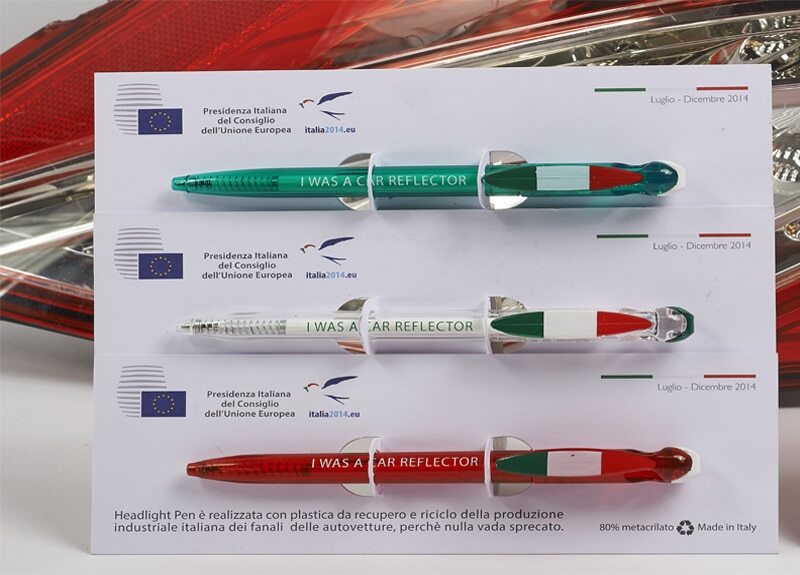 Headlight Pen is made of plastic recovered and recycled from the Italian industrial production of headlights for motor vehicles. So, nothing is wasted. Every Headlight Pen has written “I WAS A CAR REFLECTOR”. Various colors and pad printing customizations available. Upon request, the Headlight pens can be packed in transparent boxes, made of recycled PET. Made using recycled polypropylene chips from disposable cups and tableware. 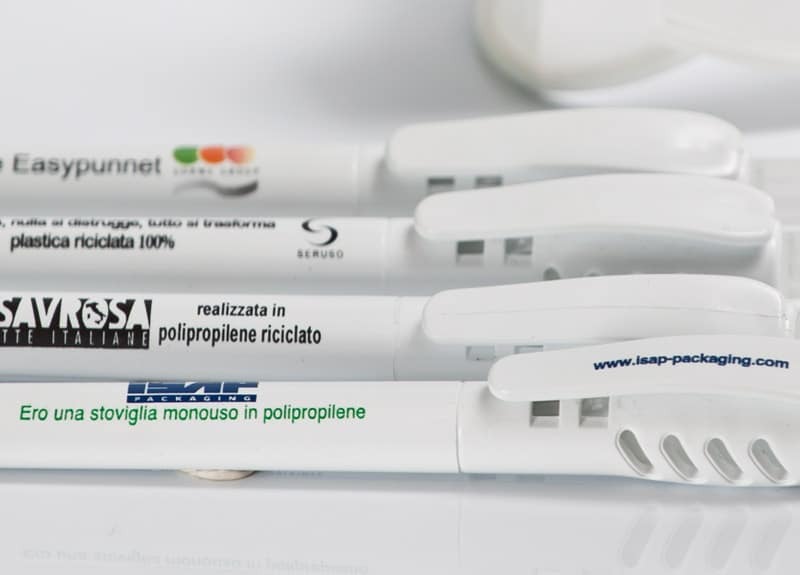 Ballpoint pen, steel tip and spring, blue or black anti-smear ink refill cartridges made in Italy. Plastic Cup Pencil “I was a disposable polypropylene plate”. 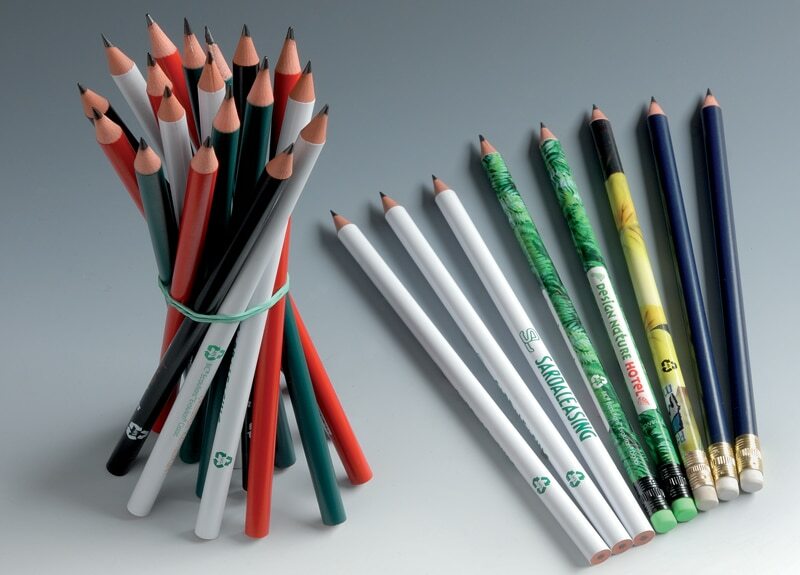 The pencils are the original color of the covers/cups that were recycled and are not dyed. They are made entirely of plastic and graphite. Customization: screen printing in one color. Available in ten shades: orange, blue, yellow, black, pink, red, green, purple. 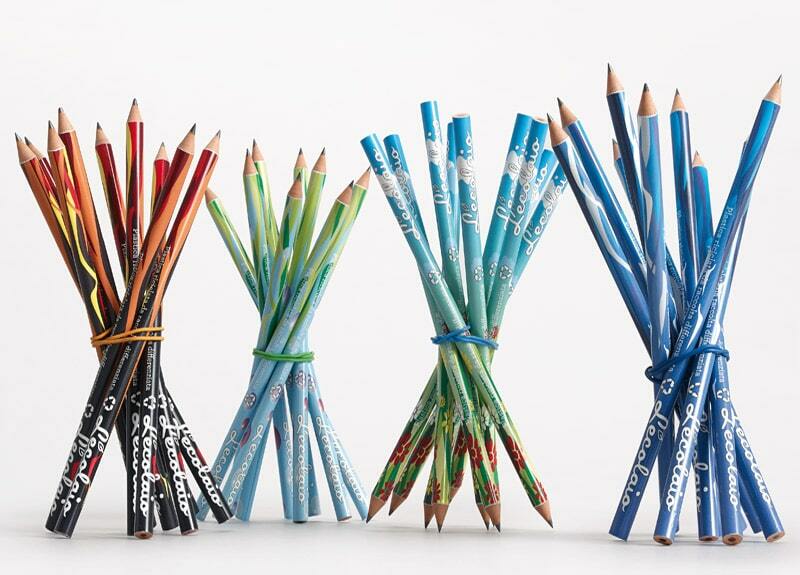 Each pencil is labeled with the type of items that was used to create it. 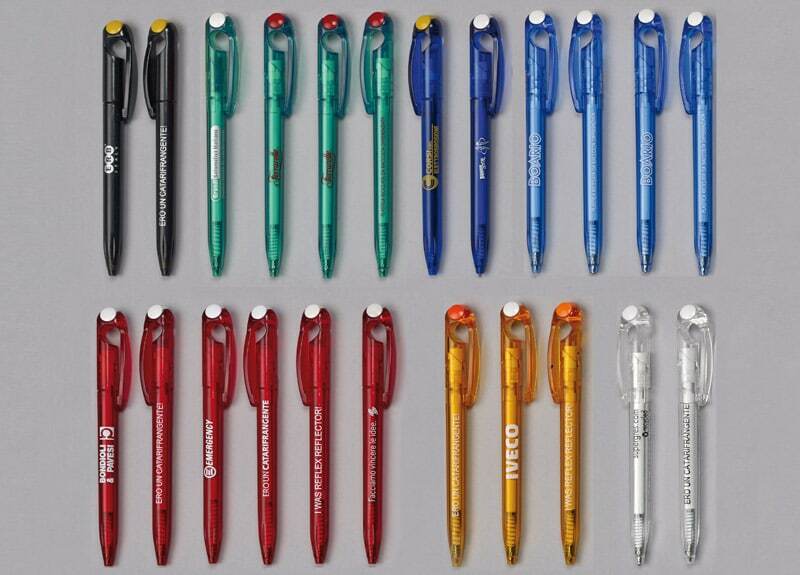 Various colors available and pad printing of your logo or name. 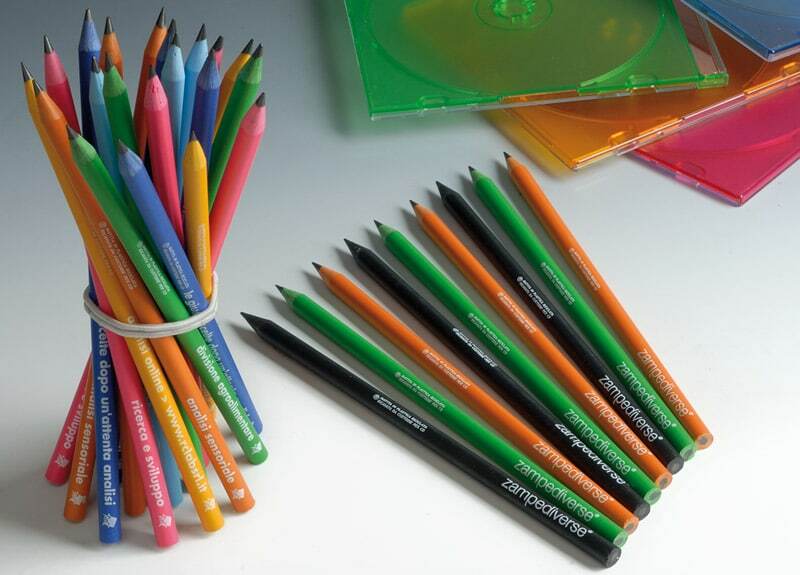 The plastic used for the production of these pencils is collected from recycle bins in homes, schools and businesses. 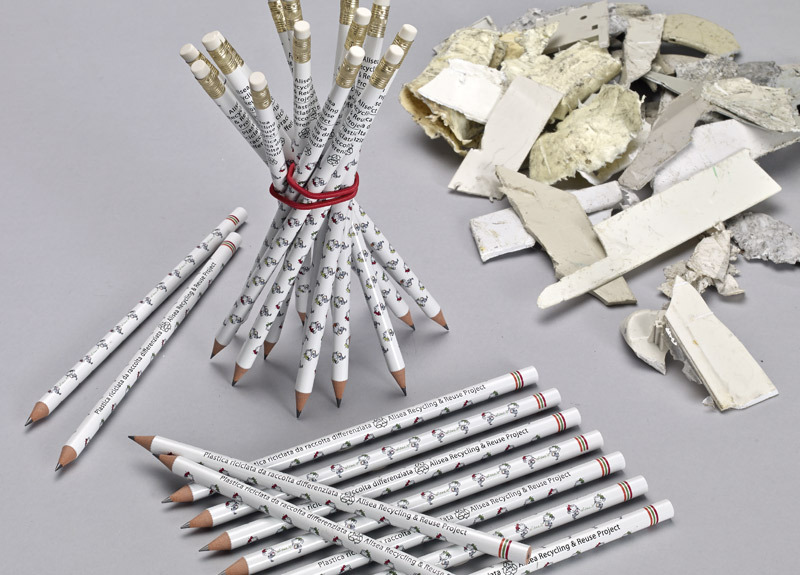 The pencil can be made with or without an eraser. In the first case, the percentage of recycled plastic is 46%, in the second it is 54%. The entire surface can be customized using digital printing. Prima is a revolutionary writing tool, inspired by an artistic, ancient and fascinating writing technique. 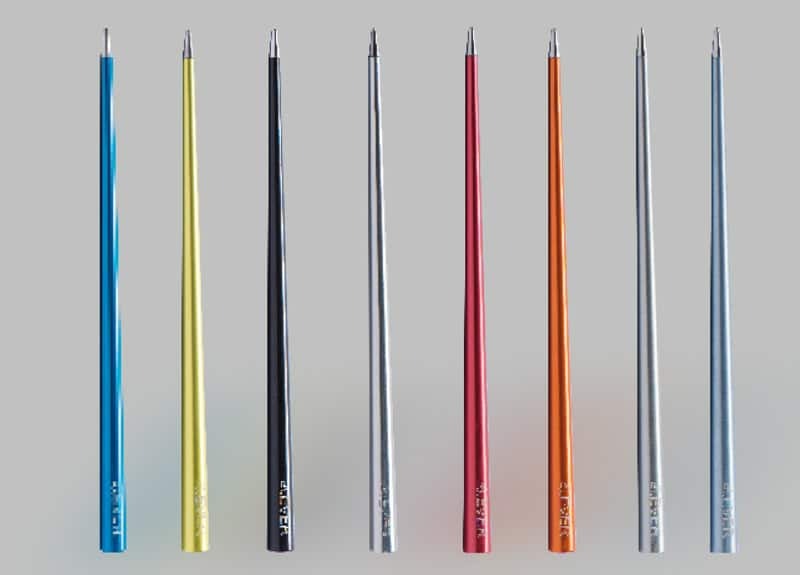 It is as precise as a pencil but with a sleek and elegant design. The special Ethergraf® tip, made from a patented alloy of metals, means that Prima can last “forever” without the need for inks or refills. Prima is completely handmade in Italy. Length: 18 cm (7,08 in). Diameter: 1 cm (0,39 in). 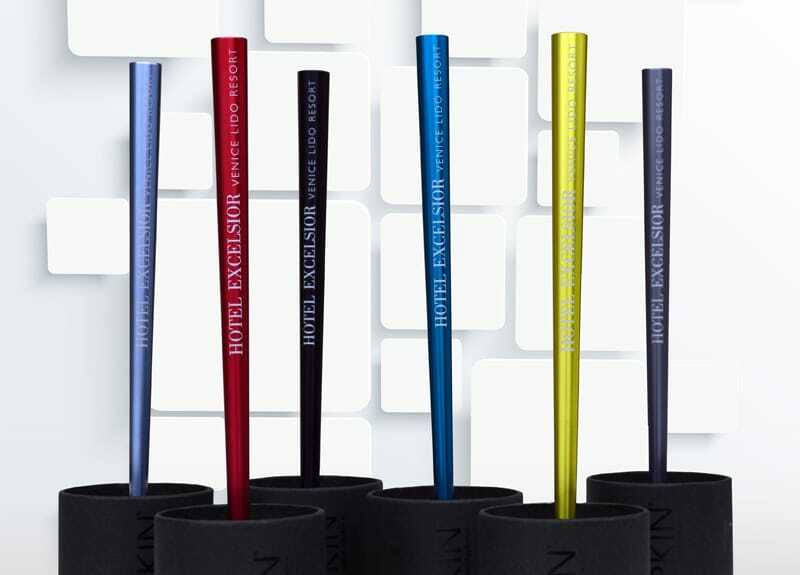 natural aluminum, black, titanium, air force blue, red, blue and yellow. Prima marked with the logo of the Hotel: costumizated using laser engraving technique. 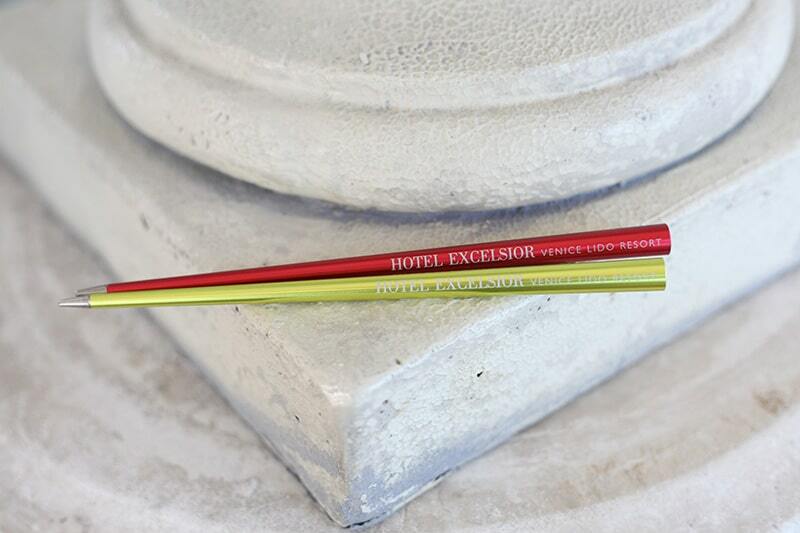 Prima has been chosen by the Hotel Excelsior in Venice in 6 different colors: black, titanium, aviation, red, blue and yellow. Costumizated using laser engraving. 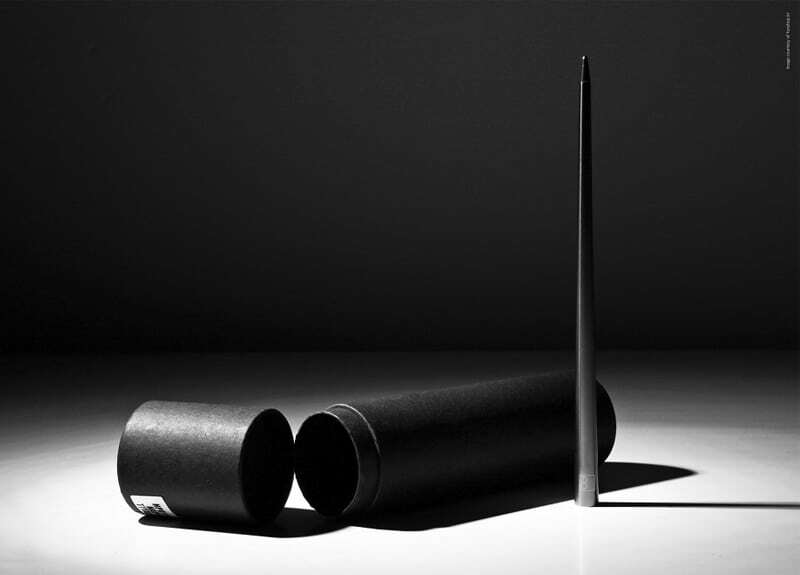 Prima is delivered with an elegant and resistant packaging, made of a black, cylindrical cardboard. Cuban has a body made of maple wood from the hands of skillfull craftsmen. To increase the smoothness of the handle, the wooden body has been plunged in warm vegetable oil and then dried by hand with a simple cloth. 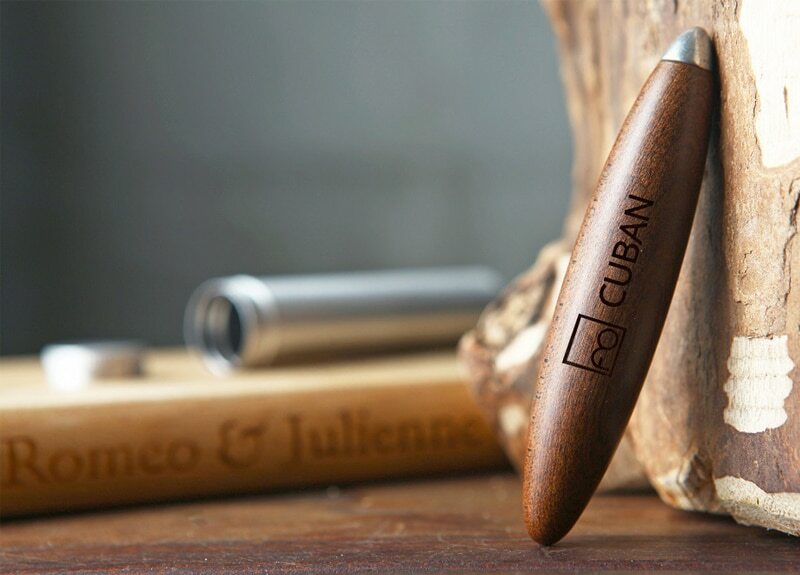 Its tip is made of Ethergraf®, a patented alloy of metals, which means Cuban can last “forever” without the need for inks or refills. 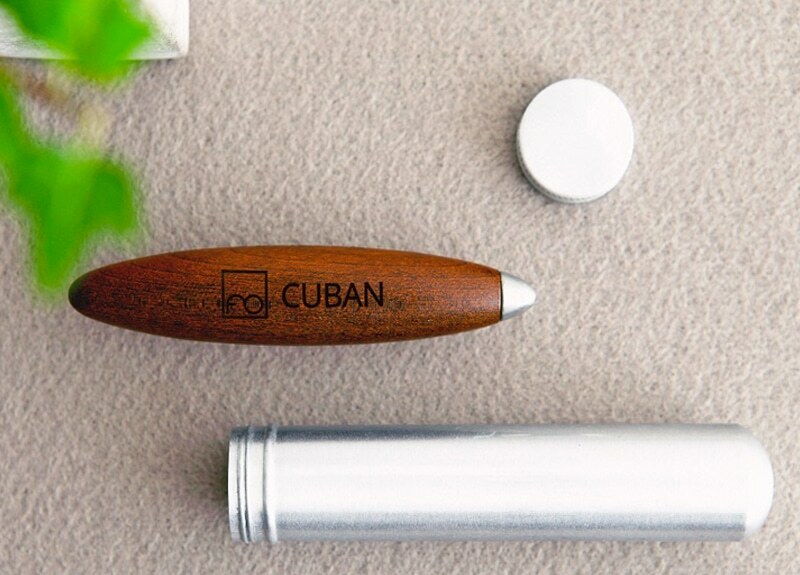 Cuban’s packaging is made from an aluminum tube, in line with its evocative shape of Cuban cigar. 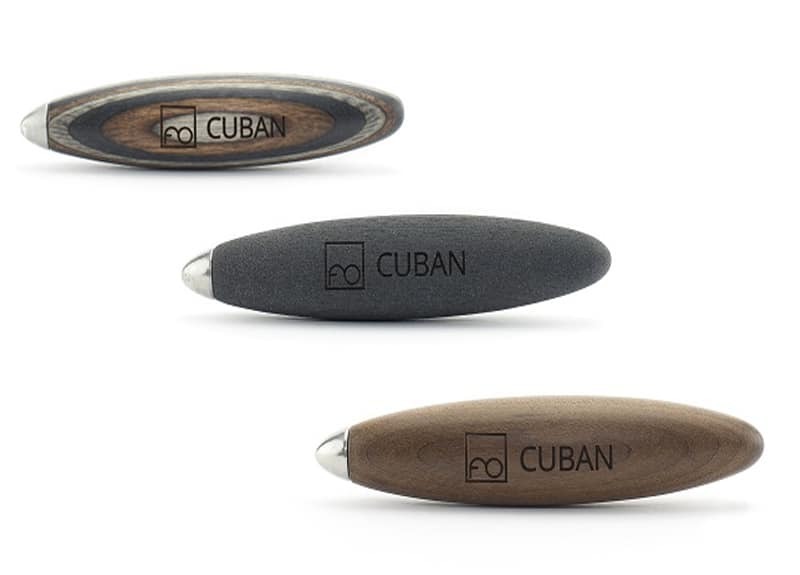 Cuban is available in 3 different colours, wood, titanium and multilayer. Customizable by laser engraving.